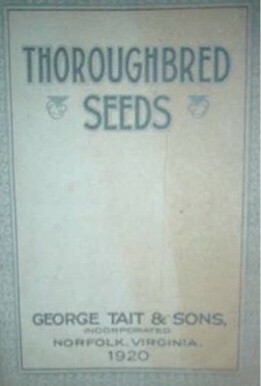 George Tait & Sons, Inc. 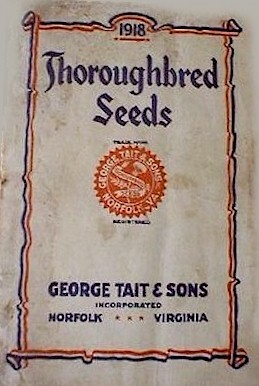 In the early 2000's while searching the USDA's seedbank for older, rare seed varieties, I ran across a tomato that was attributed to George Tait & Sons Seed. I was not familiar with the firm and started researching them. There is not a lot of information available about this company on the internet and the emergence of their old seed catalogs in the marketplace is generally quite rare. I assume that this is due to the regionality of the company and their customerbase. Tomato, 'Tait's Trucker's Delight' (PI 645138) - Available at Victory Seed Co.
Tomato, 'Thorobred Trucker's Delight' (PI 645114) - Available at Victory Seed Co.
Queen Anne (Va. 61-5-BE) - Breeder: Virginia Truck Expt. Sta., Norfolk. Vendor: Geo. 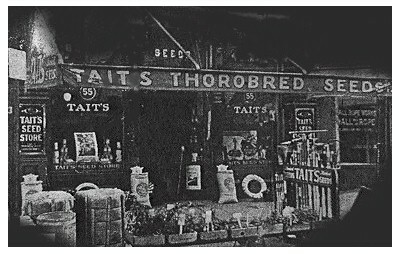 Tait and Sons. Parentage: Virginia 12 (California Blackeye 5 x Jackson PH) x California Blackeye 5. Characteristics: bush, no runners, early concentrated set, pods bunched at foliage level, seed; like California Blackeye 5 but slightly smaller. Similar: Princess Anne. Vegetable Grower News, March, 1969. Cardinal (Virginia 59-41 PH) - Breeder: Virginia Truck and Ornamental Research Sta., Norfolk. 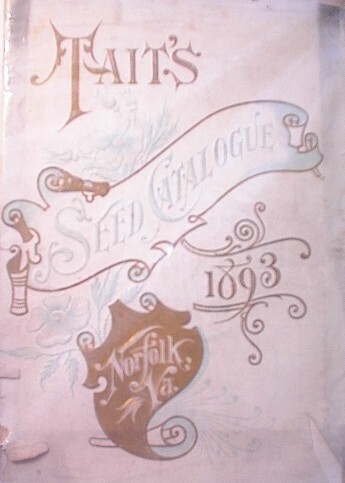 Vendor: George Tait and Sons, Norfolk. Parentage: Texas 49 PH x Virginia 12 PH. Characteristics: runner free bush plant, concentrated 60 day maturity; pods bunched at foliage level, pods rose color at green shell maturity, dark purple at dry maturity; dry seed with light brown eye. Similar: Queen Anne in growth habit and Texas 49 PH in pod and seed characters. Vegetable Growers News, January, 1972.